I know how frustrating it can be to find a great looking hat but not be able to get that extra large or extra extra large size that you really need to be comfortable and look great in. Considering this, we have many hats made for us in really large sizes. Fedoras, Caps, Panama Hats, Derby and Bowler hats all are available from The Hat House in NYC in extra large, XL, XXL and even larger sizes. 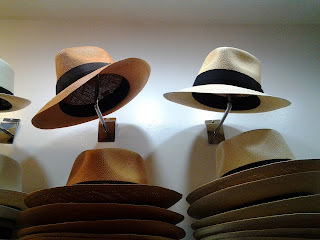 Right now we are featuring all of our Panama Hats and a light weight stylish Spring trilby Fedora in super large sizes.